The culmination of more than 30 years of cultural, anthropological, and scientific research, this encyclopedia examines the botany, pharmacology, history, preparation, dosage, and practical use of more than 400 erotically stimulating substances from antiquity to the present day. 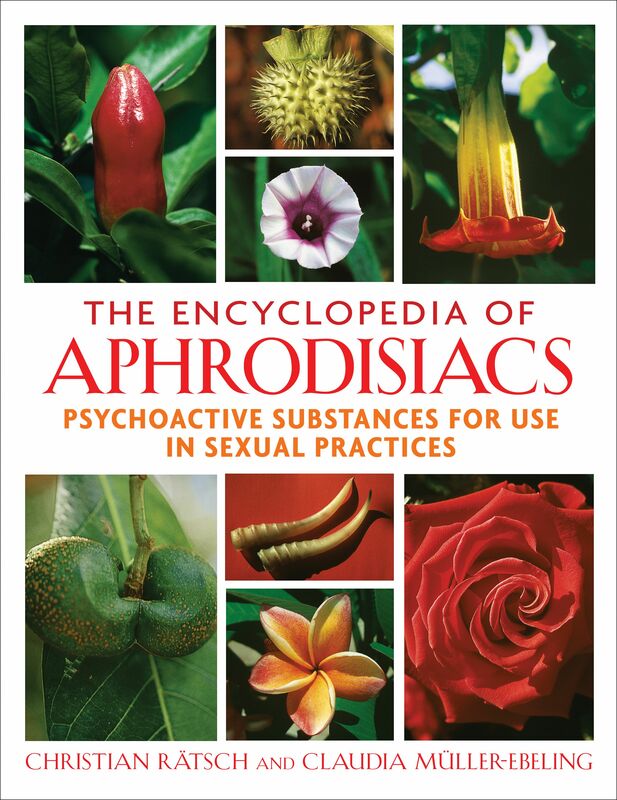 From plants and animals that enhance fertility and virility, like celery, snails, or oysters, to substances that induce arousal, like ephedra, opium, or cannabis, the encyclopedia is richly illustrated with more than 800 color photographs--many of which are from the authors’ extensive fieldwork around the world. Exploring individual, medicinal, and ritual use through historic and contemporary artwork, personal accounts, and literature as well as ayurvedic, tantric, shamanic, and European folklore practices and recent pharmacological research, the authors look at the revolving cycle of acceptance and condemnation of aphrodisiacs, the qualities that incur the label of “aphrodisiac,” the role of mind and setting, and the different ways aphrodisiacs stimulate desire--either physically, through the senses and vital organs, or mentally, through heightened awareness and altered consciousness. This comprehensive guide reveals these “remedies of the love goddess” as holy remedies whose proper use can help reestablish harmony with oneself, one’s partner, and the universe. Capsicum annuum L. var. longum Sentd. The chili pepper is the hottest of all spices--no surprise, then, that it should be used to spice things up! The name chili comes from the Aztec chilli and means “spicy, spiciness.” Many Amerindian peoples place the chili in its own separate food category: “Heat for food.” But they also use it to heat up sexual activity, as a warming or red-hot aphrodisiac. In the American tropics there are many (about 40) species and cultivars of chili or chili pepper, which are mostly used as spices (Andrews 1992 ). Besides their culinary application, chilis also have ethnomedicinal and ritual significance (Long-Solís 1986). The fruits are used to treat various illnesses and have antibacterial properties (Cichewicz and Thorpe 1996). At high doses (30-125 mg) chili is an aphrodisiac (Gottlieb 1974: 19). It is possible that chili peppers may have psychoactive effects in certain circumstances, for example at very high doses or when applied nasally. In any case, chilis are used as additives in various psychoactive products, such as ayahuasca, balche’, beer cacao, kava-kava, incense, and snuff powders (Weil 1976). The Kakusi Indians of Guyana use Capsicum sp. as stimulants and aphrodisiacs (Schultes 1967: 41). The women give chilis to men who are too strongly intoxicated by ayahuasca in order to “bring them down” (Schultes and Raffauf 1991: 35). When chilis were first brought to Europe their qualities were compared to those of pepper. They were considered to be significantly hotter but to have similar lasting, stimulating, aphrodisiac effects (e.g., according to Fuchs 1543). In India the same conclusion was reached: “Cayenne has similar qualities to those of black pepper, but has a stronger short-term effect and a weaker longterm effect. This plant has rajah-like qualities and can, when taken excessively, lead to mental disturbances” (Lao and Frawley 1987: 161). Chili pepper (Capsicum annuum) is added as a spice to various beverages. Even today Indians use it to flavor maize beers and add it to an aphrodisiac tequila. It is also an ingredient in the Mexican national recipe pollo con mole (chicken in chocolate sauce; cf. cacao). This hot and spicy sauce is entirely unlike our idea of chocolate as a sweet. Chili pepper is also mixed into incense, for example along with cacao pods. The heating power of the chili is effective not only against a weak stomach and lack of energy; its stimulating and “mentally disturbing” force is also used to combat laziness in children, by burning the incense nearby (Bastien 1987: 101). In homeopathy, Capsicum is used at varying strengths to treat impotence, among other things. For aphrodisiac purposes, most doses should consist of 25 to 125 mg chili powder, preferably enclosed in gelatin capsules (Stark 1984: 113). Handling chilis can easily lead to burns. When chili gets in the eyes, according to Indian medicine the only effective treatment is the hair from one’s own head. In most Indian cultures, hair is worn long* and so can easily be used to wipe the eyes. The effect is amazing (and thus it is also recommended as a remedy for chefs and for people who cook at home). The hair removes the spicy substance from the mucous membranes. All species of the Capsicum genus contain the spicy chemical capsaicin (chemically related to vanillin) (Weil 1976). Other capsaicinoids are also present, as well as carotinide, fatty acids, and a large amount of vitamin C. Some species contain flavonoids. Capsicum annuum L. contains steroidal alkaloids and glycosides (Schultes and Raffauf 1991: 35). *In the “drug scene,” the dried remains of rotten green paprika fruit (Capsicum frutescens vasr. grossum) are sometimes used as a marijuana substitute (see hemp, incense blends). *The saying “long hair, short mind” became popular in Europe among generations that felt threatened by rebellious, long-haired youths. Conversely (and as a result of quite a different value system), in several Indian languages, a “right” person is someone with long hair. Chili peppers of various types and origins can be found in produce markets, supermarkets, specialty shops, and Asian groceries. Andrews, Jean. 1992. “The Peripatetic Chili Pepper: Diffusion of the Domesticated Capsicums Since Columbus,” in Nelson Foster and Linda S Cordell (Hg. ), Chilies to Chocolate: Food the Americas Gave the World. Tucson and London: The University of Arizona Press, S. 81-93. Cichewicz, Robert H., and Patrick A. Thorpe. 1996. “The Antimicrobial Properties of Chile Peppers (Capsicum Species) and Their Uses in Mayan Medicine.” Journal of Ethnopharmacology 52: 61-70. Long-Solis, Janet. 1986. Capsicum y cultura: La historia del chilli. México, D.F. : Fondo de Cultura Económica. Waldmann, Werner, and Marion Zerbst. 1995. Chili, Mais und Kaktusfeigen, München: Hugendubel. Weil, Andrew. 1976. “Hot! Hot!--I: Eating Chilies.” Journal of Psychedelic Drugs 8(1): 83-86.